Description: The spiritual health of your child rests in your loving hands to mold and shape for eternity. This practical guidebook to parenting helps you understand the essential qualities of God-loving parents. You will learn how to: Build Your Family In the Lord, Alleviate Stressful Family Situations, Direct Your Children's Steps, Show Your Children How to Live & Grow, Trust In God For the Needs Of Your Family, Have Faith In His Promises, Offer Godly Counsel To Your Children, Bring Your Children To Salvation in Jesus Christ. 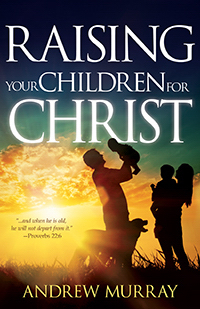 Learn more about: The Priest in the Home, The Faithful Parent, The Parent's Faith, Household Salvation, Children & The Sabbath, Your Child As God's Possession, Why Parents Fail, The Parent As Prayer-Guardian, Raising a Good Child, Forming Habits in Your Child, When A Child Dies, Training Children for the Lord, and more!